Ah, it’s that most wonderful time of the year. No, not when I start thinking of moving to a place that gets actual sunshine (I’m officially ready for winter to be over). I mean TAX TIME. Yeah buddy!I saw a good article recently covering things retirees should be considering with their 2018 tax returns.I’ll add the article on Thursday’s email, however, I figured it was worth sharing some of their tips and a few of my own in this week’s article. Official disclaimer – I am NOT a CPA so be sure to review these issues with your own CPA.Or, if you need a good one let me know. First, do not wait too long until you get with your CPA. The closer we get to April the harder they are to meet with as they are entering their busiest time of the year. If you want to meet with them I would get in touch as soon as you can. The longer you wait the better the odds are you will automatically be filing an extension because there just isn’t time. Don’t forget it isn’t too late to make contributions to certain retirement accounts. This won’t apply to a normal work 401k, however, traditional IRAs, Roths, and even Solo 401ks may still be in play for you. These accounts allow you to make contributions up until your tax deadline or when you file your taxes, whichever comes first. Be careful as certain accounts would have had to be set up before the end of 2018. If you missed that deadline, at least you can now get it done well before the end of 2019. One item to consider is what is called “bunching.” Not sure if this is one of those highly technical terms taught in accounting schools across the country, but it is an accurate description. The new tax laws have increased the standard deductions for singles and married filed jointly ($12,000 and $24,000 respectively). Most people will just follow these new standard deductions, however, it may make sense to do some bunching every couple of years. This means you bunch your planned charitable contributions in certain years with the thought the bunching would be more tax-beneficial than just relying on the standard deduction. A note in the article I thought was funny, but I’m sure applies to many retirees, is to consider moving to a low SALT state. One of the big changes in the new tax laws is to limit State and Local Income and Real Property Taxes (SALT) to $10,000. This may come into play more for states such as New York and California than Ohio, but it is worth talking to your CPA about. My favorite point they brought up was doing some early planning for when to take Social Security.I cannot stress enough how important this is. I do this all the time with my clients nearing retirement. If you are planning on retiring a few years before you turn 70 you must be doing some projections on whether it makes sense to wait to take Social Security. This should include whether to do things like Roth conversions during the years between retirement and the start of Social Security. Again, just some quick items to consider as we enter tax time. 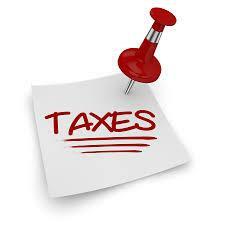 And please remember if you have specific questions on your taxes to consult with your CPA.